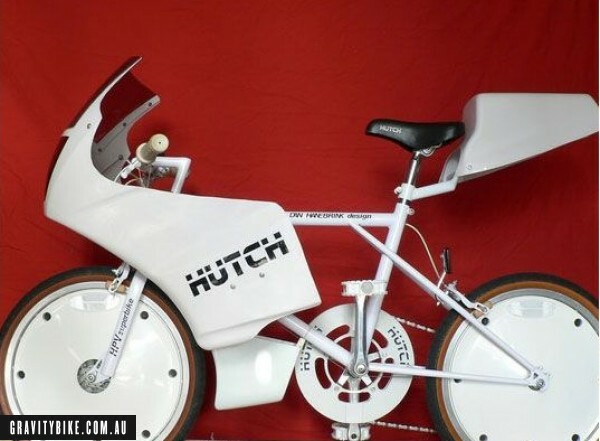 Yeah we know, its not technically a Gravity Bike, but this is just magic..
"Hutch teamed up with downhill BMX racer Dan Hanebrink in the late eighties and decided to take a tangent from their legendary line of BMX trick bikes such as the Trick Star and Wind Styler. They developed three bikes which pushed bicycle aerodynamics and speed to a whole new level. 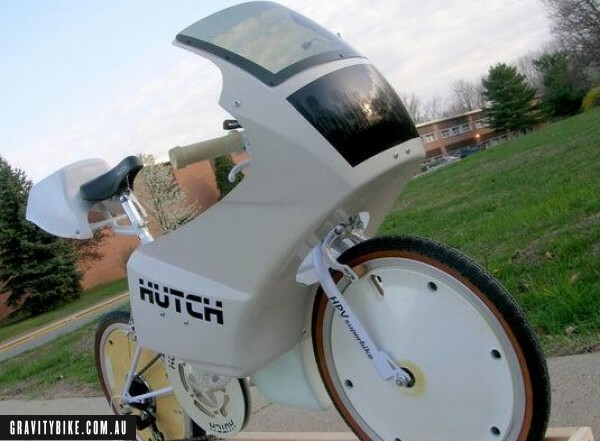 The GPV (Gravity Powered Vehicle) was a super-stretched, pedal-free bike almost fully enveloped in fiberglass fairings. 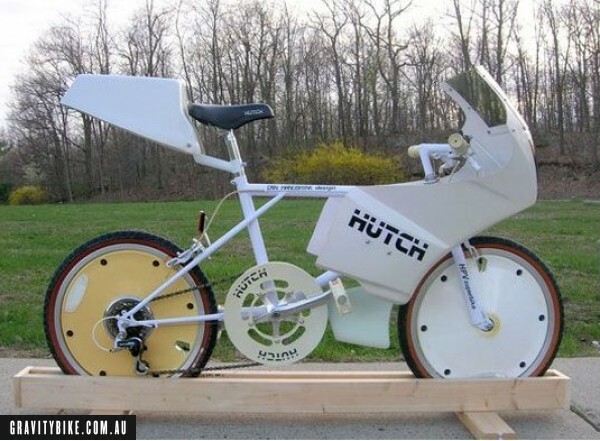 These downhill-race-only bikes were rumoured to approach 100MPH and were not made publicly available. Instead, the HPV was released in incredibly small quantities to mimic the speed of the GPV on a bit more user-friendly of a platform. The littlest brother, the FZ-1, was no more than a BMX bike with a shoddy fairing, and never went over well with buyers."